Our annual tree lighting with Santa will be held behind Legends on the back patio, and you will get to watch Santa light up our beautiful 40ft Christmas Tree! In addition, we will be releasing our newest Walker’s Bluff Cranberry holiday wine! We will have tastings and bottles for purchase at the event. A limited menu will be offered for those who come with hungry stomachs! Our full bar will be available, and we have created several holiday specialty cocktails that will be sure to bring you cheer! 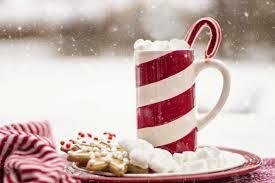 A hot chocolate bar will be set up on our patio, where you can add your favorite liquor (if you you wish)! Christmas Carolers will be singing on the patio and throughout the venue, with our fire pits and fireplace lit on the patio. Santa will be making his visits to guests throughout the event, so don’t forget your cameras! This is a kid friendly event. We invite you all to join us at Legends as we celebrate the lighting of our Christmas Tree and the holiday season!